There are essential oils for all skin types, too – even those with the most sensitive of skin! No matter your skin type or your skin issue, there is an essential oil for you. If you are trying to learn about the essential oils that are best for you, don’t forget to check out the Top 12 Essential Oils for Beautiful Skin. Once you know the essential oil(s) that you want to use, you’ll need to know how to use them. Essential oils can seem intimidating, but are really easy to use once you understand them and how to use them safely. Inhaled - directly, using a diffuser, using a humidifier, as an aromatic, etc. When it comes to essential oils for skincare, topical applications tend to be the most common. However, if you are looking for how to have healthy skin and are interested in using essential oils, you have plenty of options for their use. Here we will discuss the topical use, facial steams, compresses, foot baths, and soaking baths. While the other methods are great, too, their uses are less related to skincare. Essential oils are very concentrated, so a little bit (just a few drops!) will go a long way. This is very important to consider when you see their prices. They may seem to be expensive at times, but are really quite affordable once you consider their benefits and how long they will last you. Due to how concentrated they are, you will want to dilute them before you apply them to your skin. Essential oils can cause skin irritation when used in their undiluted form, so do not skip this step! When diluting essential oils, you will generally use what is known as a carrier oil. A carrier oil is used to dilute your essential oils and then “carry” them to your skin. Essential oils are easily able to be absorbed into your skin, which is part of what makes them so great. There are many options for carrier oils, including things you likely already have on hand for skincare or cooking, such as coconut oil, olive oil, and avocado oil. 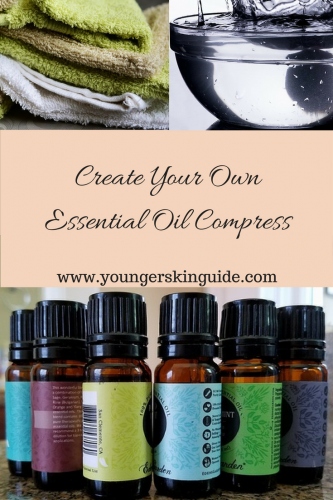 When you are looking for how to blend essential oils with carrier oils, it is actually very easy. When diluting with a carrier oil, you should aim for a 1% to 2% dilution generally. How do you decide what percentage to use? I always recommend starting with a 1% dilution if you have not used essential oils before or if you have sensitive skin. If you have sensitive skin that does not necessarily mean that you will have any issues with a 2% dilution, but it is a safer bet to stick with the 1%. That being said, if you decide to try 2%, try it out on a small area of skin to start. If for any reason you have a reaction, you can always dilute it back to 1%. While carrier oils are great – they are not the only option you have when it comes to diluting essential oils for skincare. They can also be diluted using your favorite lotion or moisturizer. When doing this, however, one very important thing to consider is scent. Essential oils have very strong aromas that may not always blend well with whatever scent your lotion or moisturizer has. Due to this, I recommend first only mixing together a teaspoon of the blend to begin with. If you are happy with the combination, you can then blend together a larger batch for longer term use. The other option is only using unscented products for essential oil blends. Once you have diluted your essential oil with a carrier oil or your favorite moisturizer, you can then begin using them. When applying essential oils topically, you can use them on your affected skin areas. When applying to your face, be very careful around your eyes! Take a towel, drape it over your head, and lean over the bowl – keep your face about a foot above the water; higher if the steam is too intense and lower if it starts cooling. The towel helps to tent your face to trap and concentrate the steam. You can also remove the towel for a bit if the steam is too much. After you’re done, this is the perfect time to add your favorite moisturizer! With your opened pores, it will be much more effective and you’ll feel great. As with the steam facial, the warmth from the compress helps to open up your pores to release oils and dirt. Once you are finished with the compresses, use your favorite moisturizer for the best result. 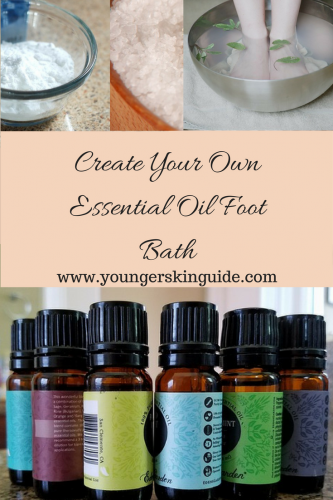 This foot bath will soothe any aching, relieves dry skin, and smells great. I recommend peppermint, lavender, or chamomile essential oils for a foot bath, but you are not limited to only these! Step into the bath and enjoy! Why the milk? The milk actually helps the essential oils to disperse more evenly within your bath. If you don’t have milk or would rather not use it, there are some other options. 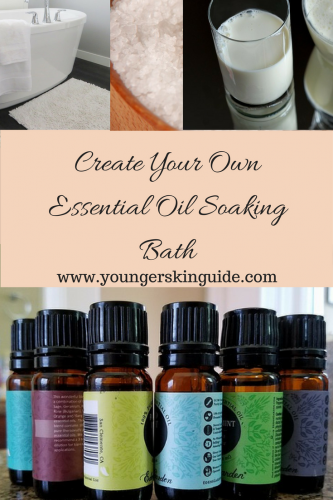 You can mix the essential oil with some soap, shampoo, or bubble bath. I recommend something unscented, due to the aromas of the essential oils. Also, you can use a carrier oil, as mentioned earlier, but it won’t be as effective as the other methods mentioned here. When it comes to using essential oils in a bath, there are certain ones that you want to avoid – peppermint, ginger, and other spice oils. My favorites in a bath are lavender, rose, and jasmine. When you are using essential oils for skincare, you have a number of options for how to use them. While a topical use tends to be most common, you definitely don’t want to ignore your other options like a facial steam, compress, foot bath, or regular bath. Which method you choose depends on your goals. 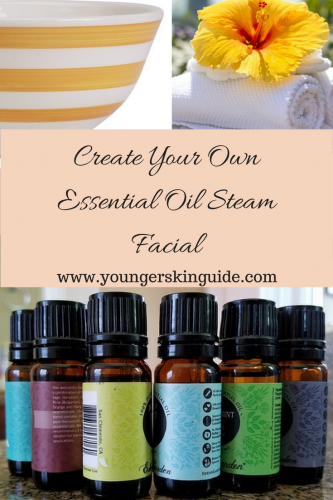 I love the facial steam when I’m looking for that spa day feel. The compress is great when I feel like just laying back and relaxing. The foot bath is great after a long day on my feet and the soaking bath when dealing with body aches. Topical use is great when you have a specific skin issue that you are looking to treat, such as oily skin, acne, eczema, etc., or when you are trying to treat a very specific area. One other thing to keep in mind when you are using essential oils, don’t feel like you are limited to only using one oil at a time. 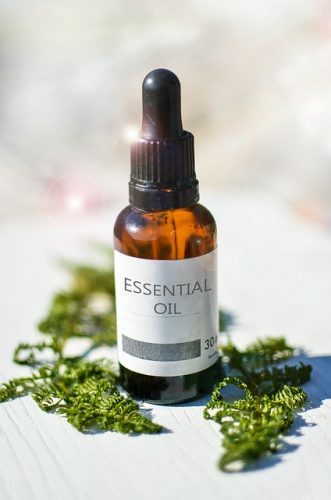 Using a combination of different essential oils is perfectly acceptable and can a great way to reap the many skincare benefits of essential oils. You can blend different oils together in ode to combine their benefits, such as something for oily skin along with something for acne. You can also choose to combine oils based on their scents to create a more aromatic experience. Whatever method or oils most appeal to you, just be sure that you are not overlooking this wonderful resource to create naturally beautiful, glowing skin. Now that you know how to use essential oils, don’t forget to check out the best essential oils for skincare.